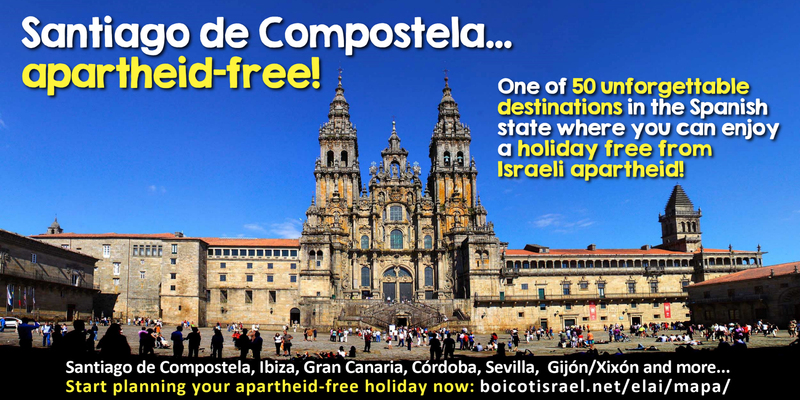 Inspired in part by a similar campaign during the struggle against apartheid in South Africa in the 1980s, the Israeli Apartheid Free Zone campaign is led by the Solidarity Network Against the Occupation of Palestine (RESCOP) in the Spanish state. By declaring themselves Israeli Apartheid Free Zones, local authorities agree to boycott corporations complicit in violations of international law and the rights of Palestinians as well as break ties with the Israeli regime and its complicit institutions. They will also support local awareness raising efforts and commit to conscientious procurement policies based on the human rights of the Palestinian people. Growing public support for the BDS movement for Palestinian human rights has prompted Israel and its allies to launch an unprecedented, well-funded and anti-democratic attack against everyone seeking to hold Israel accountable to international law and UN resolutions, especially through BDS advocacy. Want to start your own local campaign? Download our guide for campaigners here.